If you want to do it, you’ve got to promise yourself that you will put in an honest effort. We have a roadmap for preparing for NTSE which if you follow diligently, you are likely to clear the exam. 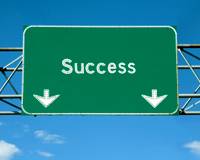 We also keep track of your milestones and help you stick to your path. Make your exam resolution on how will you prepare for the exam or how important this exam is for you. We will remind about this from time to time to pep you up. Make A Resolution Now! Request a Study Plan. You can request your study plan by clicking here. Begin your preparation according to your study plan. You are free to choose any chapter to practice any time. You can practice the questions in a unique practice lounge where it is so much fun to practice questions. Chapterwise NTSE Question Bank. Finish up at least 3 chapters. See tips on how to prepare a chapter for final exam. Finish up at least 15% of your syllabus. Finishing up a chapter means you have solved at least 20 questions on the chapter. Do not worry about wrong answers. Ideally chapters are picked up from your study plan but if you want to go out of that order, pick Do or Die chapters. See NTSE Syllabus based on chapter importance. Finish up 50% of your syllabus. Begin your improvement plan. See your improvement plan. Complete the entire syllabus for NTSE by practice 20 questions on each chapter and reattempting wrong questions once. Take Timing Improvement Test on 50% of the chapters. 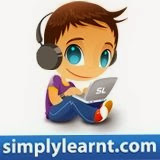 Participate in online mock tests by simplylearnt.com. Keep a watch on your email for notifications on these. First Revision for the entire syllabus. Repeat the questions already solved at least once. Take Timing Improvement Test on remaining chapters. Become a Chapter Expert on 3 chapters. Take 2 Previous Year Papers of your state and 2 Full Length Mock Tests. Prep Buddy is always available for help in case you need anything. You can always use many reporting options on the platform to tell us if you are facing difficulty.